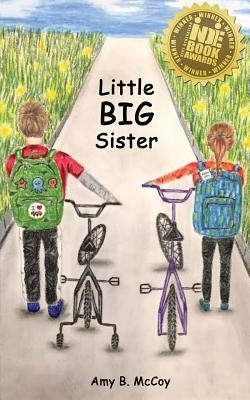 WINNER of the 2017 Next Generation Indie Book Awards for Children's Fiction Meet nine-year-old Katie, the little sister who feels like a big sister. Her eleven-year-old brother, Mikey, has autism. Katie can ride a two-wheeler, but Mikey's bike still has training wheels. Katie rides the bus to school, while Mikey takes the special needs van. When a new student with special needs joins Katie's class, she notices that some kids just don't "get it" about autism and other disabilities. Discover how Katie, along with her friends Lauren and Bella, are determined to make a difference at their school.